Kuala Lumpur is a great city to visit. I absolutely love it there and think everyone should visit at least once in their lives. There is a lot of history in KL and quite a lot of unique things to see, though it’s not always easy to figure out what those things are. When we first moved to KL and were looking for things to do, the most common things found were KL Tower, Petronas Tower and Batu Caves. While these things are fun and worth doing, there is sooooooooooooooooo much more to do there. So, to help you have a full experience of the neat things in Kuala Lumpur, I’ve compiled a list of things to do in six different categories. Whether you are visiting for a week or two or there for a quick weekend layover, here are some interesting things to spend your time on. This place is was started as a plant research center back in 1992 and is now a famous preserve that spans 3,775 acres. 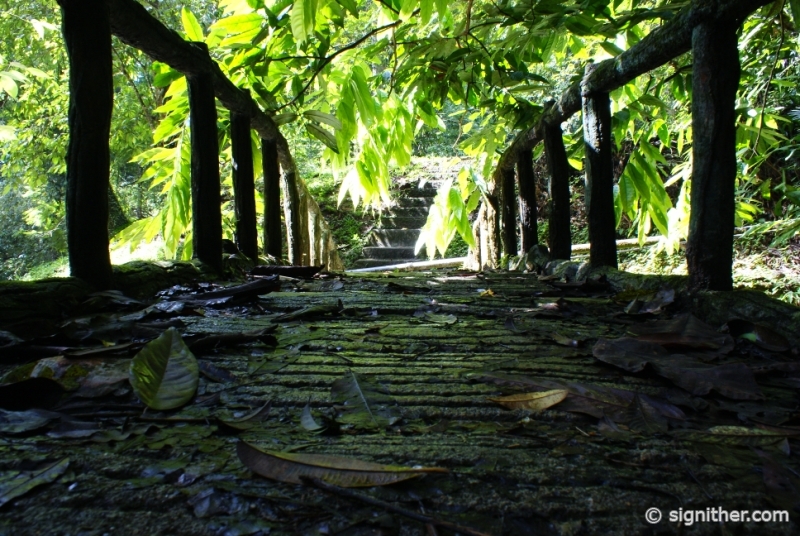 There are easy paths to wander around with four jungle treks for those looking for more of a challenge. In the forest are rivers, waterfalls, the remnants of an old Orang Asli settlement as well as a plethora of trees, bamboo, plants and wildlife. You can walk, jog, picnic, bicycle, bird-watch and visit an insect house and herbal botanic garden. If heights don’t bother you, there is also a canopy walk that takes you 98 feet above the forest floor. For preservation reasons, only 250 people are allowed on the canopy per day, 200 advance tickets and 50 walk-in. To reserve your canopy tickets, email FRIM One Step Centre at frim_enquiry@frim.gov.my. As a side note, Malaysia gets pretty hazy at certain times during the year, which results in the reserve closing. Please check here for the daily API readings (posted at 7am) before heading to the reserve. If the API readings are above 150 for Batu Muda, Kuala Lumpur, the reserve will be closed. PRICE – RM10 Adults, RM1 Children. There are also camera fees for professional equipment. LOCATION – The reserve is located NW of Batu Caves in Northern KL. If you want to take a taxi, I’d recommend going to KL Sentral and purchasing a taxi coupon. This ensures that the driver cannot overcharge you. If you want to hail a taxi, be sure the drive turns the meter on. You can also take the KTM Komuter from KL Sentral to Kepong Sentaral Station. Kepong Sentral Station is AFTER Kepong Station. From there you can get a taxi for about RM 7. Just be sure the driver uses the meter. We really enjoyed our trip to Kuala Gandah Elephant Sanctuary. 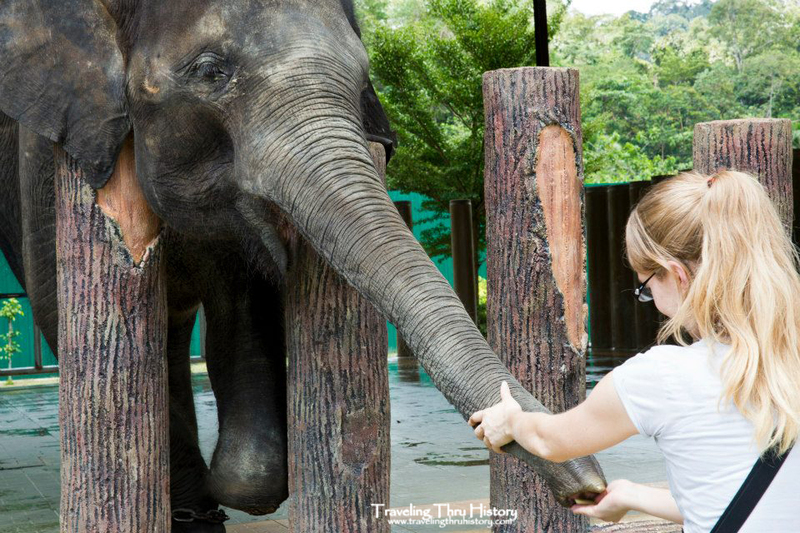 This place is an elephant rescue where elephants who are injured in the wild or are damaging farmlands can stay until they’ve either healed or a new home can be found for them. They have a video where you can learn more about what they do, an exhibit about elephants and the history of elephants in Malaysia along with beautiful grounds to wander around. Oh, and a small restaurant where you can get ice cream, snacks and drinks. As for the actual elephants on site, you cannot ride them, but you can feed them and watch them play in the water before the handlers do a small demonstration (maybe about 5-7 min). Then you can feed them again. Be sure to bring a snack for the elephants as the provided fruit gets snatched up quickly. I would allow at least half a day for this destination. LOCATION – The sanctuary is located by Lanchang, Pahang, and is about a 2 hour drive. To get there, drive on the Karak Highway towards the east coast and exit at Lanchang. There are signs that will show you which way to go. These are the GPS coordinates if you’d like to use those: 3˚ 35’34.4”N and 102˚ 08’37.7”E. You also can reach the center by train if you stop at Bandar Jengka or Termeloh and take a taxi from there. if you choose the train and taxi route, add an extra hour each way to your travel time. 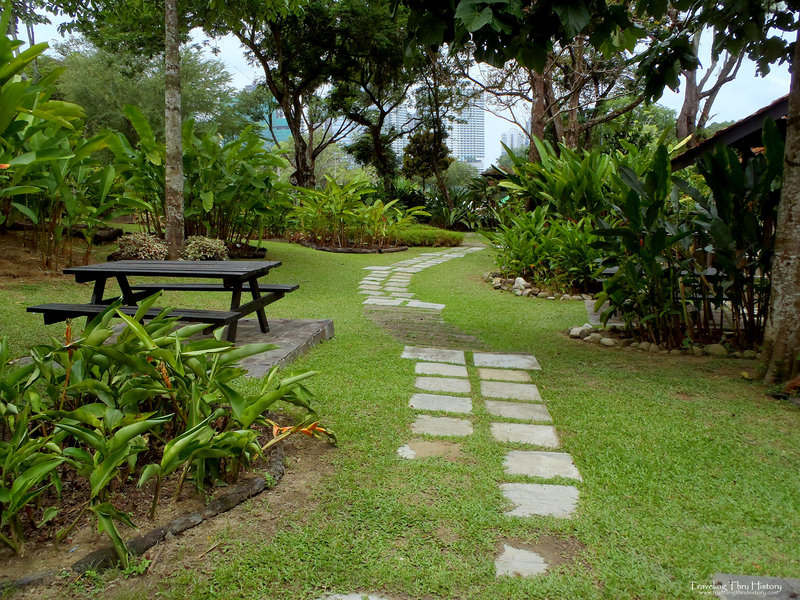 This park is also known as Taman Tasik Perdana or Perdana Botanical Garden. I really love Lake Gardens Park and went there several times while living nearby. There is a beautiful lake with walking trains, bike paths, covered pavilions to sit under, picnic tables, benches, pavilions in trees, meticulously sculptured gardens, several play areas with large toys for kids and there are several animal exhibits, though those cost to get in. BUT, you can still see the deer through the fence and can feed them if they come near. There is also a cafe, public restrooms (pay to use), bike rentals (RM3 for 30 min) and a trolley tour of the park (RM2 for adults, RM1 for children). Duration of your visit depends on what all you want to do. For a quick tour, 1-2 hours. For a leisurely visit, 3-4 hours. PRICE – Free for the park, entrance fees for extraneous attractions. LOCATION – 10-minute walk from KL Sentral, minutes from the Bird Park and the National Museum, right next door to Tun Abdul Razak Memorial House. Taxi is the best way to get there if you don’t want to walk from KL Sentral. While a bit on the pricier side, this is a nice place to visit. There is a lot of wildlife around the park along with lovely landscaping and beautiful plants. There are a number of bird feeding demonstrations throughout the day along with a full-on bird show. We didn’t get to see the bird show, but I’ve heard it is quite entertaining. 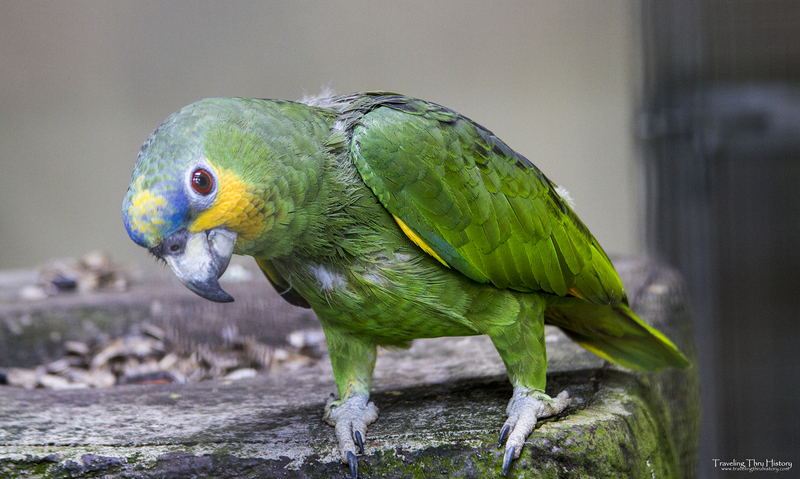 If you want to get up close and personal with some of the birds, you can purchase a ticket to get a photograph with birds perched on your shoulders and head. And for the learning part, there is an indoor informational section that teaches about the different bird species and the area. LOCATION – 15-minute walk from KL Sentral, minutes from the Lake Gardens Park and the National Museum, just up the street from Tun Abdul Razak Memorial House. Taxi is the best way to get there if you don’t want to walk from KL Sentral. We had a lot of fun at Chiling Falls. The hike isn’t too strenuous, but the water does get waist-deep on a 6′ adult and can be a little fast at times, so if you’re not steady on your feet, you may just want to hike the first little bit. If you’re ready for a muddy hike through lots of foliage and crossing rivers, you won’t be disappointed. This hike is beautiful and very worth it. The pool under the lower waterfall is deep enough to swim in and there are monkeys that hang out there sometimes. Wear sturdy shoes, bring bug spray and a small backpack with water and snacks. The drive is about 1.5 hours each way and the hike takes about 3 hours roundtrip (excluding stops), so plan on this taking at least 6 hours. 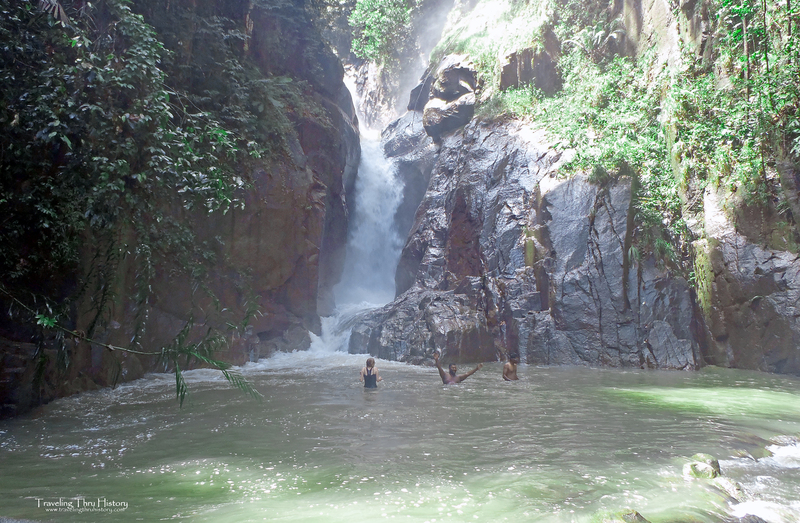 LOCATION – This hike is located inside the Sungai Chiling Fish Sanctuary. If you go to Kuala Kubu Bharu (do NOT go to Kuala Kubu Baru) and then continue on to Fraser’s Hill (Bukit Fraser), you will pass Selangor Dam and reservoir. Shortly after passing Selangor Dam you will cross a small steel bridge. There is a parking area on your left just after the bridge and the entrance to the park is on the right side of the road. The time you spend depends on whether you want to go for the experience or to learn about the culture. If you just want to make a cursory tour of the place, plan about 1.5-2. If you want to REALLY look at the stuff and read about it, I’d plan maybe 3-4 hours. 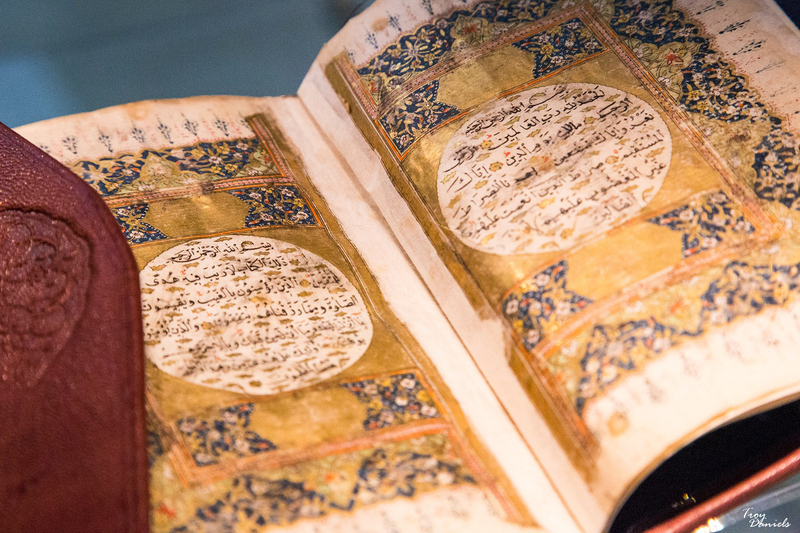 LOCATION – The Islamic Arts Museum is about a two-minute walk from the National Mosque, about 10 minutes from Lake Garden Park and about 5 minutes from the Bird Park. To get there, you can take a taxi from anywhere or you can take the KTM Kmuter to the Kuala Lumpur stop and then either walk or take a taxi. It’s about a 5 minute walk from the station. They completely remodeled this place while we were there and I have to say that it looks really nice. All the rooms are set up with authentic period furniture with interactive touch screens that give quite a bit of information. There are also signboards with pictures and additional information. It’s really quite well put-together and is worth a short visit. Plan to spend about 30-45 minutes there. LOCATION – Adjacent to Lake Garden Park. 1-2 minutes from the Bird Park. To get there, you can take a taxi from anywhere or you can take the KTM Komuter to the Kuala Lumpur stop and then either walk or take a taxi. It’s about a 5-10 minute walk from the station. This museum is pretty fun. It has a lot of neat cultural items and an entire building dedicated to replicas of ancient houses, tools, weapons and daily use items. 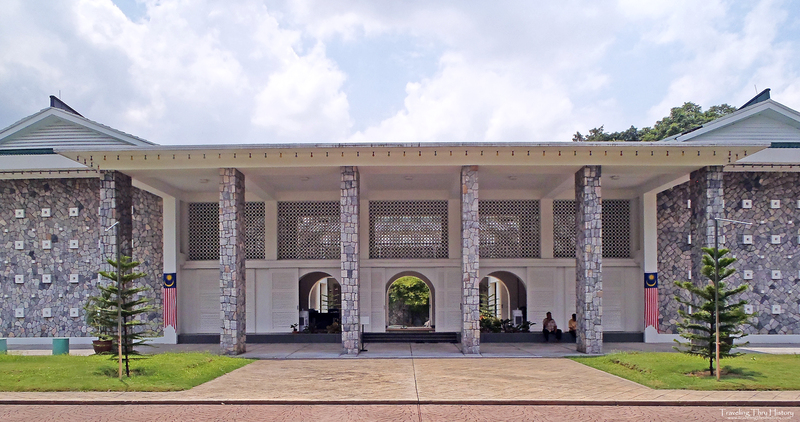 The museum is a decent size and has exhibits dedicated to early Malaysian civilizations, the development of the Malay kingdoms, what life was like during the Colonial era and important events since Malaysia became independent in 1957 along with an outdoor exhibit of various modes of transportation from throughout Malaysia’s history. There is a gift shop and a cafeteria on-site. Plan to spend 1-2 hours here. LOCATION – Short walk from KL Sentral. To get there you can walk over a freeway overpass (not as dangerous as it sounds, I did it several times) or you can take a taxi or RapidKL bus No.115 (RM2 per day). This is also a stop on the Hop-On Hop-Off Tour, so you can get there that way as well. This place is pretty neat. It may be small, but it’s worth a quick stop if you’re in the area. There is a small exhibit on the history of the city as well as information about important historic places around town. 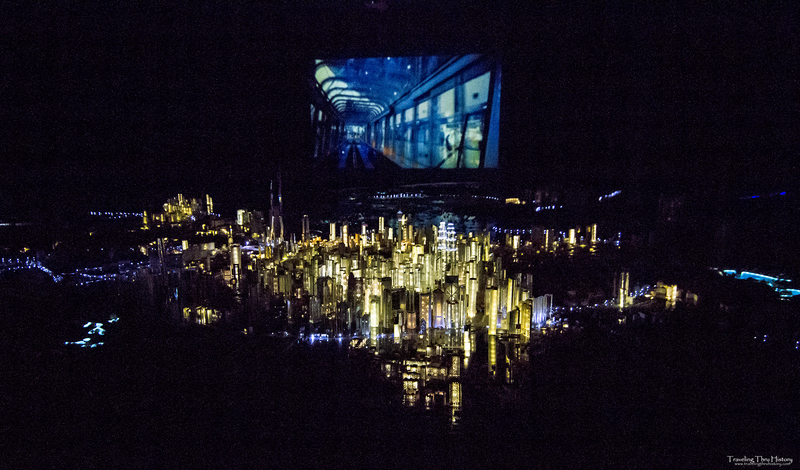 There are some really old maps of the city, scale-model buildings, a seasonal exhibit corner and a scale-model light-up city that has a short demo reel along with some other really interesting things. The demo reel with the light-up city lasts about 2 minutes and is pretty neat. After you’ve seen that you should definitely check out the gift shop. The gift shop is actually what I think is the best part of visiting the gallery. You can see people working on ARCH wooden miniatures of buildings around town and famous buildings in the Asian world. It’s really quite spectacular to see the finished products. They are beautiful and very intricate. And that is what 90% of the gift shop is. Along with the wooden miniatures there are t-shirts, pictures, ornaments, wall plaques, notebooks, and other really neat woodcraft items. They also have a do-it-yourself program to learn how to make wooden miniatures if you’re interested in learning that process. Just ask at the front desk when you buy your ticket. And before leaving, stop at the iconic I Love KL structure outside and take a selfie! PRICE – RM5 (ages 3 and above) *Free for senior citizens above age 65. **Ticket price is fully redeemable at ARCH Gift Shop and ARCH Cafe inside the gallery. LOCATION – Adjacent to Merdeka Square. About a 5 minute walk from the Masjid Jamek LRT station. The Hop-On Hop-Off tour also stops at Merdeka Square. I’ve never been to Petrosains myself, but my friend took her kids there and said they had an amazing time there. 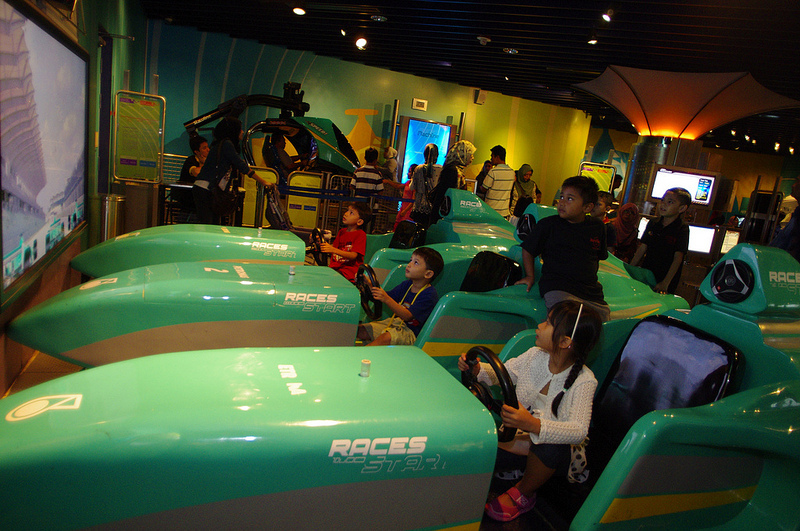 This is an interactive science museum for kids to learn by doing and it starts and ends with a motion ride, which sounds pretty cool. The focus is on the oil and gas industry, but there are a few exhibits that focus on history, music, art and 3D movies. Based on the reviews I’ve read and what my friend said, plan about 3-4 hours here. LOCATION – Inside Suria KLCC Mall, level 4. You can take a taxi, the Hop-On Hop-Off tour, or the train. Take the LRT to KLCC and then head up to level 4. We all know what Chinatown is: the place to get cheap knock-offs and cheap food. This Chinatown is that to a T. There is lots to see and buy here. 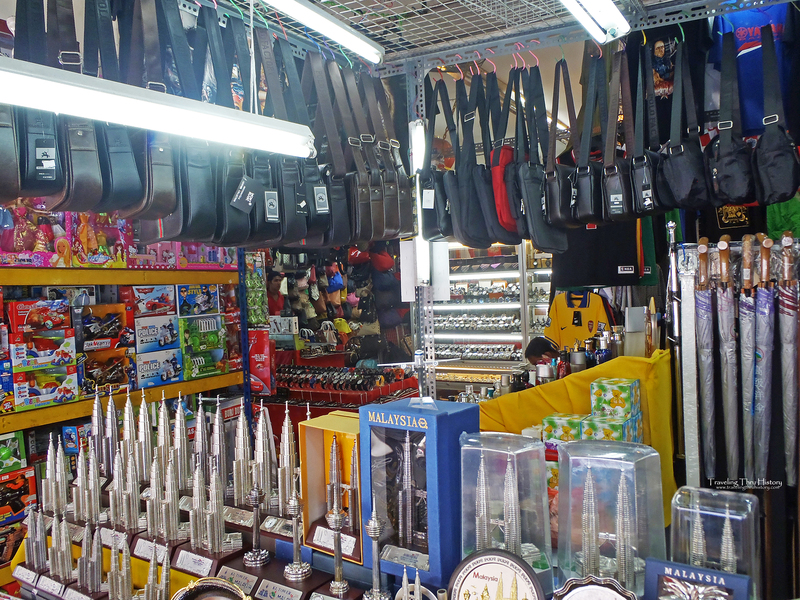 Most things you can haggle for, but some are actual shops with retail prices. I just really love the atmosphere and the excitement. There are lots of colors, smells, sights and sounds. People make some really neat things by hand, too. One time we were there, there was a guy making paintings of people’s names by painting plants and animals. Another time, we found a disabled guy with a table attached to his wheelchair where he was making wire pianos, flowers, animals and name keychains. I got all my of family members the keychains and they love them. Even if you don’t want to do much shopping, it’s worth it to check out all the crazy food that is endemic to Asia. HOURS – Shops start opening around 9:00am, but the best time to go is in the evening. LOCATION – Jalan Petaling. If you take the LRT to Pasar Seni. Walk down the stairs and down the street a little ways. You’ll see a big over-the-street sign that says Jalan Petaling. That is the entrance to Chinatown. Central Market is pretty fun. It’s kind of like a higher-class Chinatown, only with a wider variety of local trinkets/souvenirs and less knock-offs. These are all in formal shops and kiosks like you’d see at the mall and there’s even a food court, the only difference being that you can negotiate in most of these shops. The prices are decent and the variety is really great. You can find clothes, jewelry, games, magnets, toys, knick knacks, shoes, keychains and soooooooooooo many other things. Seriously, this is the place to go if you’ve got a list of people you have to buy souvenirs for. Oh, and if your feet get tired while you’re there (or if you just want to), there is a fun little fish spa where fish nibble your feet. My boyfriend was laughing so hard from the fish tickling his feet that people stopped to watch and take picture. It was fun. LOCATION – Jalan Petaling. If you take the LRT to Pasar Seni. Walk down the stairs and go to the corner. You’ll see Central Market across the street. Bukit Bintang is a shopping district that takes more time. There is a small section of Chinatown-like shops and several shopping complexes. There is a semi-underground mall, (it’s huge, I actually got lost in there) and two upscale malls a short walk away, Berjaya Times Square and Pavilion KL. You’ll also find an electronics mall nearby, LowYat Plaza, where you can get tons of electronics for relatively low prices. There are actually a TON of shops and eateries on every street, so you could spend all day wandering around the area shopping and eating. LOCATION – You can get there by taking the monorail to the Bukit Bintang stop. That will put you right at the junction where you can turn left and be by the underground shopping center or go to the right and head towards Pavilion KL Mall. If you to to the Imbi monorail stop, you’ll be by Berjaya Times Square Mall. Little India is pretty fun. It is loud and vibrant and full of neat things to see. Most shops in Little India are for traditional Hindu clothing, which is absolutely gorgeous. If you’ve got time, I recommend having a sari custom made. The time it takes to make one varies from a few hours to 24 hours. The first one I had made took 4 hours and the second one I had made took 2. Then add in the finishing touches to make sure it fits right, so make sure you’ve got time for all that. The other attractions of Little India are the food and the jewelry. Little India has some great food and fun jewelry. There are little trinket shops, but most of the shops there are what Hindus use, eat and wear on a daily basis. I really love the food there and ate it several times a week. LOCATION – Walking distance from KL Sentral. Exit KL Sentral by Sooka Sentral (opposite side from the Hilton and Le Meridian). Follow the street around the curve and keep curving down to the cross street. If you pass Suasana Sentral, you’ve didn’t keep curving. To the left across the street are a few Little India shops. To the right is where most of the Little India shops are. This place is pretty fun. You get a free tour that tells the history of the factory and lets you see some really cool pieces of pewter as well as some of the pieces being made. Then you go into a shop where there are quite a few pewter pieces that are incredibly beautiful. This is where you want to go for unique high-end gifts. There is also a place where you can make your own items. In the School of Hard Knocks you make a dish in 30 minutes and in The Foundry you cast, polish and decorate a small item in 60 minutes. PRICE – Free tour. School of Hard Knocks is RM60 per person and The Foundry is RM150. 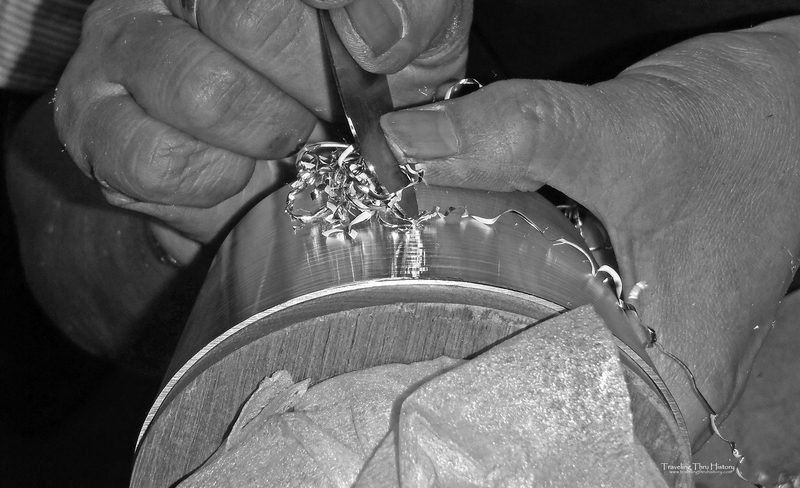 LOCATION – The Royal Selangor Pewter Factory is about 20 minutes outside of Kuala Lumpur. To get there, you can take a taxi or include it in a city tour package. To get there by train, take the Putra LRT to the Wangsa Maju station and then get a taxi to take you the rest of the way. One thing that you will not find of shortage of in Kuala Lumpur is mosques. I highly recommend you visit one while you are in town. They’re really quite beautiful and the people are very friendly. We visited the National Mosque and had a lovely time. We also visited Putra Mosque in Putrajaya (20 min train ride outside KL) and I really wish we’d gone to Masjid Jamek. There is actually a long list of mosques I wish we’d visited, so be sure you at least see one. Plan on being there about 30 minutes. HOURS – varies. Some are open to visitors during prayer times, others are not. I’d recommend googling for that day’s prayer times and plan your visit to be done outside of those times. LOCATION – Depends on the mosque. Masjid Jamek is right by the Masjid Jamek LRT station. It is also walking distance from the Pasar Seni monorail stop. 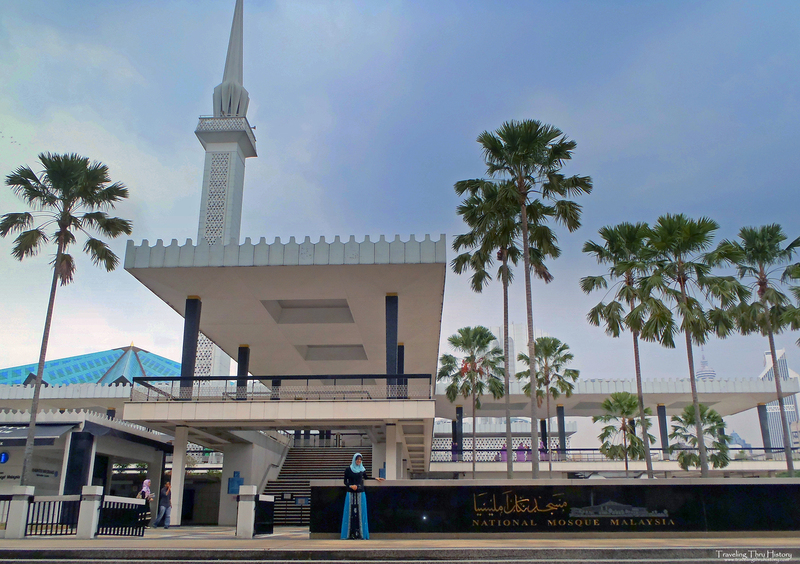 The National Mosque can be reached from the Kuala Lumpur KTM Komuter stop, via the Hop-On Hop-Off tour bus or by taxi. Most mosques are within a short walking distance of train or bus stops. There are many all over the city, so I’d recommend googling which will best fit into your itinerary. 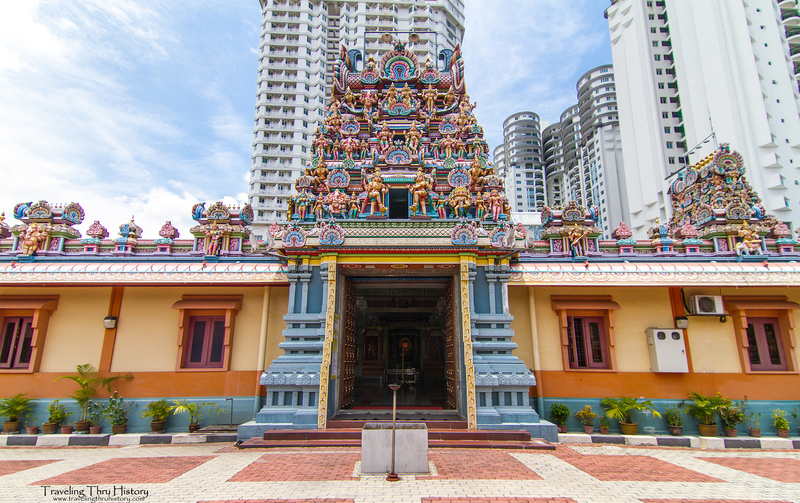 Along with many mosques, there are also several Hindu temples around Kuala Lumpur. The biggest one is Sri Mahamariamman Temple in Chinatown and my personal favorite is Sri Kandaswamy Kovil, which is close to KL Sentral. These temples are just absolutely fascinating and so different from any other temples. There’s so much color and variety in each of the sculptures. The grounds are also quite lovely, too. Definitely make some times to visit one of these temples. Plan about 30 minutes for this visit. LOCATION – Depends on which one you choose. The one in Chinatown is walking distance from the Pasar Seni monorail stop. The one by KL Sentral is in walking distance from the Tun Sumbanthan monorail stop. Most are within an easy walking distance of bus or train stations. The three main cultures in Malaysia are Malay, Indian and Chinese with the three main religions being Muslim, Hindu and a mixture of Buddhism, Taoism and Confucianism. So, to get the full experience, you should also visit a Chinese temple. This temple is one of the largest Chinese temples in SE Asia and it is amazing. 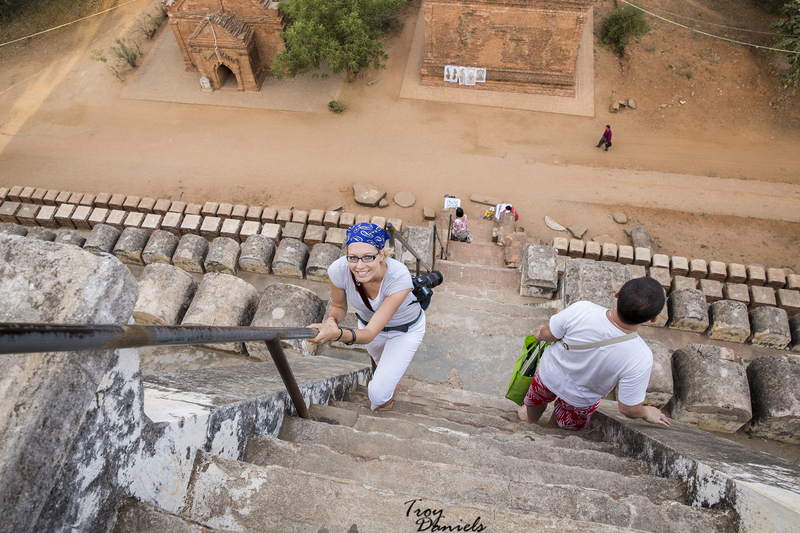 The carvings, architecture, murals, garden, golden statues and bright colors are very much worth the side trip. There’s also a little side garden with sculptures of all the Chinese zodiac animals. The entire site is pretty fascinating. This building was designed to incorporate Buddhist, Taoist and Confucianist principles, so it is very unique. And, as a bonus, there is an absolutely stunning view of the city from the temple. 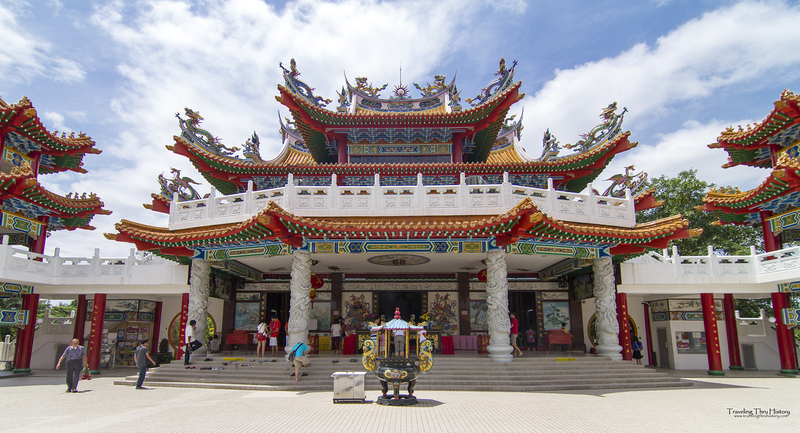 LOCATION – This temple is located on top of Robson Hill off Jalan Syed Putra. The easiest way to get there is by taxi. We stumbled upon one of these cemeteries while wandering around and they’re really quite fascinating. Chinese cemeteries are beautiful and ornate, very different from what you would see in the US or most of Europe. I highly recommend stopping by and at least taking a picture or two. And be sure to take some DEET bug spray with you. The cemetery we went to goes by both Hokkien Chinese Cemetery and Kwong Tong Cemetery. 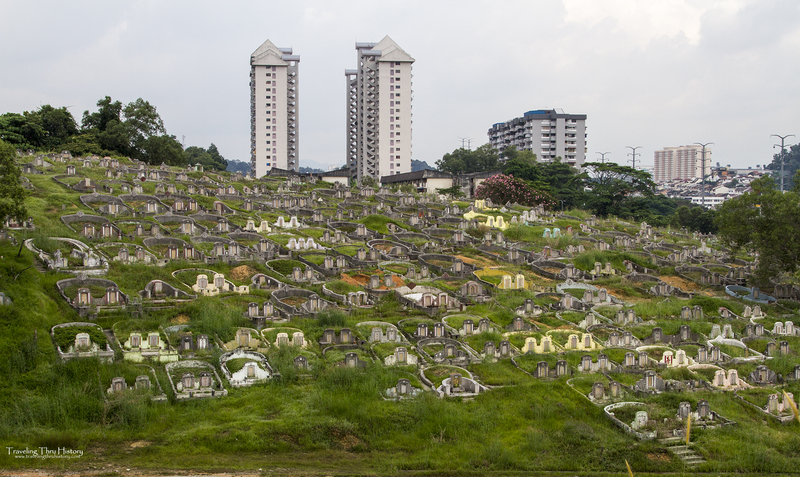 It has been around for over 120 years and covers 333 acres, making it both the oldest and largest Chinese cemetery in the city. There are thousands of elaborate graves along with three memorials: the Nanyang Volunteers Memorial, the Lim Lian Geok Memorial and a Japanese War Memorial. 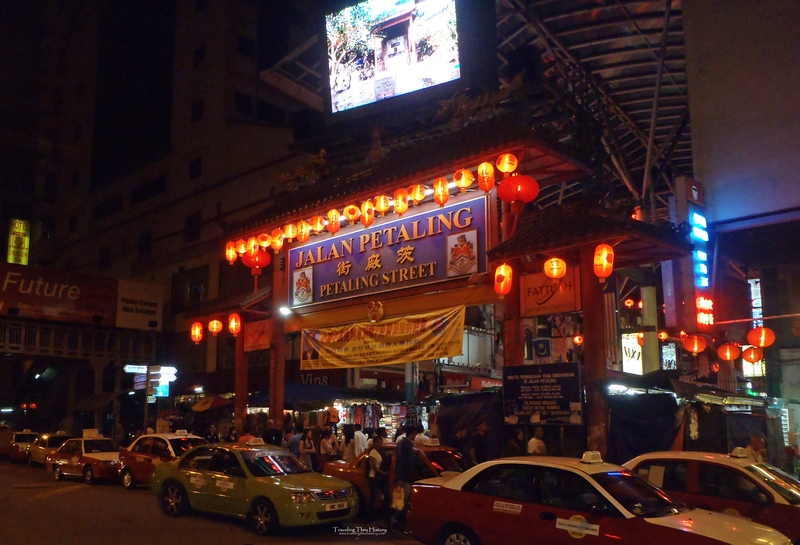 LOCATION – The one we went to is east of KL Sentral and Thean Hou Chinese Temple. You can walk there from KL Sentral in about 30 minutes (read about our first adventure getting there), take the bus to the Jalan Syed Putra stop and walk about 5 minutes or take a taxi. St. Mary’s Cathedral is a small, unassuming Anglican church situated next to Merdeka Square. I actually found it by fluke one day when I was wandering around Merdeka Square. This church is small and not as fabulous as the mosques or Hindu temples, but it holds claim to the oldest Christian church in Kuala Lumpur and is the throne for the regional bishop, so I think that warrants it’s placement on a list of places to see. It’s quite a lovely little church. LOCATION – Next to Merdeka Square. About a 5 minute walk from the Masjid Jamek LRT station. The Hop-On Hop-Off tour also stops on the other side of Merdeka Square. This place is pretty neat. 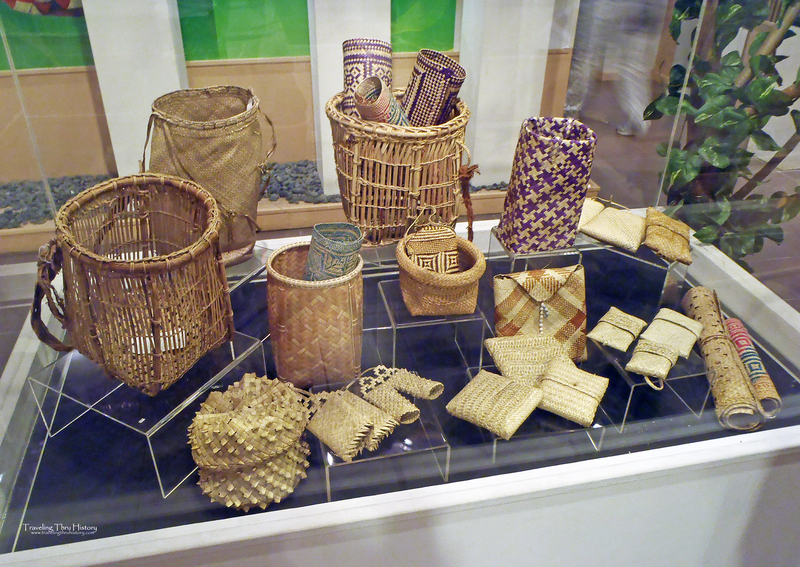 It has a few displays about the culture and history of Kuala Lumpur and Malaysia. There is also a nifty little chocolate shop (lots of free samples!) and a few gift shops along with a tourism office where you can find brochures and book tours. My favorite part, though, is that they have a cultural dance show there Mon-Sat afternoons at 3:00. It lasts 45 minutes and is pretty fun. You can even take pictures with the dancers when it is over. LOCATION – Jalan Ampang. 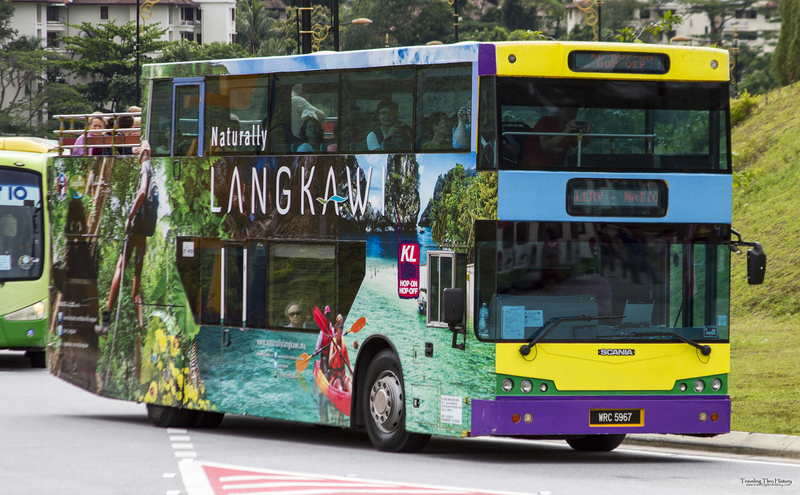 You can take a taxi, the Hop-On Hop-Off tour bus or go to either the Bukit Nanas LRT Station, Dang Wangi LRT Station or KLCC LRT Station and walk. Signs are posted around the streets. This is a pretty fun tour. It takes you to a wide variety of places from the palace (exterior only) to the National History Museum to the National Monument to shopping centers and all over the city. It’s a great way to hit all the big-name places and the best shopping areas. There are 23 stops and the bus actually goes to most of the places on this list or will drop you nearby. What you do is get on the bus at any of the stops around the city, get off at whichever stop you choose (or all of them) and then get on another bus when you’re ready. They cycle through about every 30 minutes. You can buy tickets when you get on the bus or you can purchase advance tickets online. LOCATION – There are stops in Little India, by Suria KLCC Mall, Merdeka Square, the National Mosque, Lake Garden Park, the National Museum, Central Market and various other places around the city. Brochures with maps can be found in train stations, bus stations and online. This place is cool. 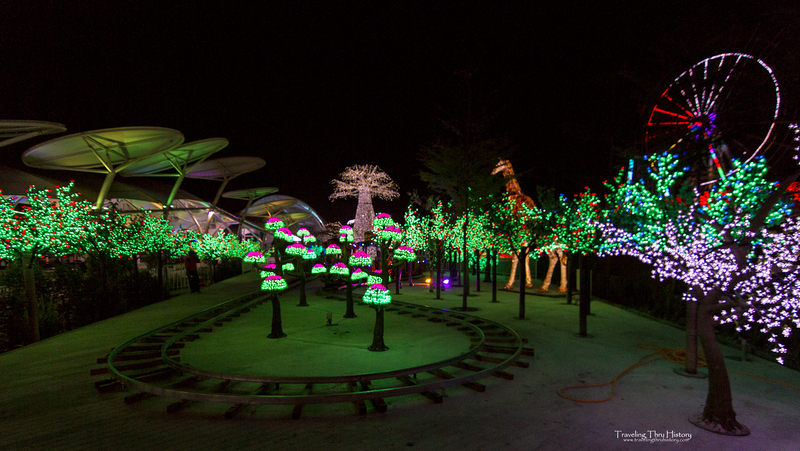 There are tons of lights (think Christmas in July with tons of colors, shapes and sizes), a water park, a wax museum, an indoor snow park and a trick art museum. The entire site is pretty fun to spend a day at. There are trinket vendors, snack carts, a spacewalk, superswing, two-tier carousel, pirate ship, ferris wheel and all sorts of entertaining things that will delight both adults and kids. HOURS – City of Lights 6:00pm-12:00am. Waterworld 10:00am-7:00pm. Trick Art Museum 11:00am-12:00am. SnoWalk 10:00am-12:00am. Wax Museum 11:00am-12:00am. LOCATION – About 45 minutes outside KL. You can take a taxi all the way or take the KTM to Padang Jawa Station and then take taxi to i-City. Or you can take bus route U80 to Shah Alam Bus Station and from there take bus U605 to I-City. If you decide to drive, there is an RM5 charge for parking. The Petronas Towers are massive! For a while they were the tallest in the world and they still hold the record for the highest double-decked bridge at 558ft, which is where you can view the city from. You can also view the city from the observation deck and that is 1181ft high. It has some great views after dark. We did the 7pm tour and had a fantastic view of the sunset. This water show is pretty neat, too. It is in a man-made pool at the base of the Petronas Towers, so after you see a great view of the city, why not watch a water show? There is lovely music, bright colors and lots of fun water acrobatics. The pool the show takes place in is very wide, so you can be sure to get a good view from just about anywhere. Oh, and there’s also a landscaped park with walking paths, picnic areas, an aquarium, a splash park, a playground and lots of shopping. 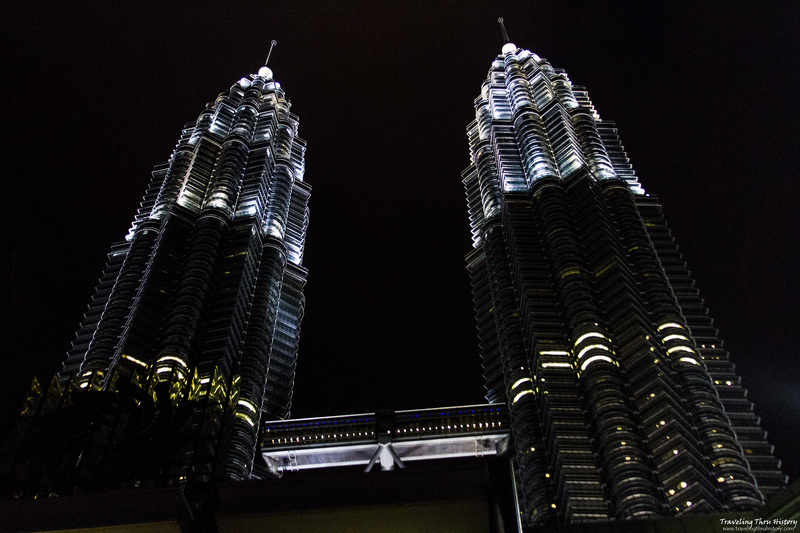 LOCATION – Petronas Towers, Suria KLCC Mall. You can take a taxi, the Hop-On Hop-Off tour, or the train. Take the LRT to KLCC and then head outside for the water show or to the Concourse Level to get your observation deck tickets. Hourly parking is in the basement if you want to drive yourself. 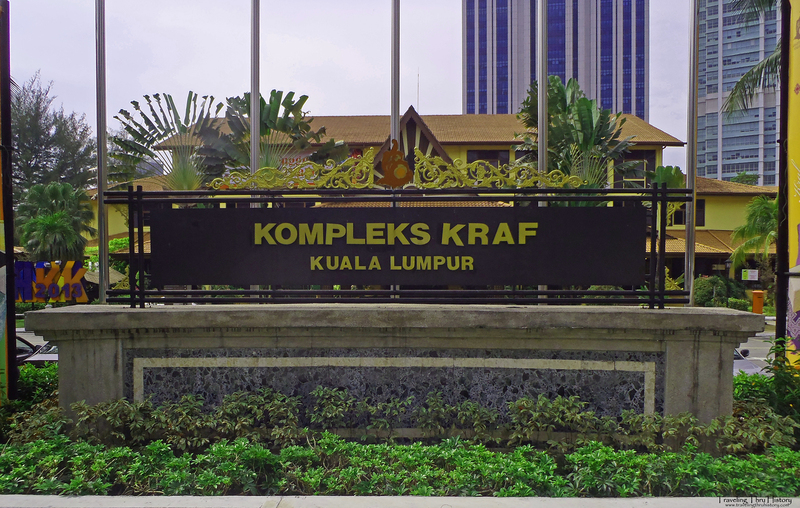 Kompleks Kraf is a nice place to visit for a more interactive taste of Malaysia. Aside from the gift shop, boutique and craft museum, there is also a craft village. What is that, you ask? 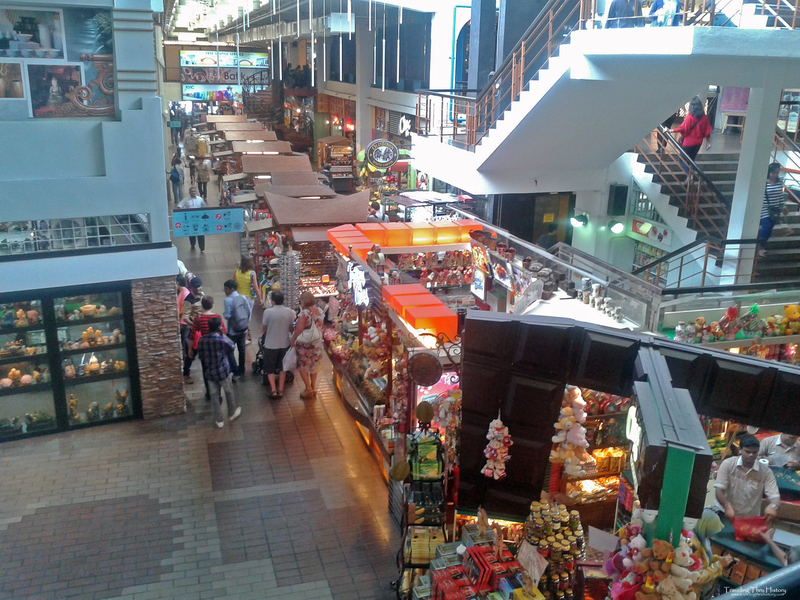 Well, it is a fun place where you can see demonstrations of Malaysian handicraft and also try some out yourself. It’s pretty fun. I learned how to paint batiks and made several for my entire family. Prices for the batiks ranged from RM15-RM30 each. LOCATION – This is about a 15-minute walk from the convention center and aquarium. Best way to get there is taxi or the Hop-On Hop-Off bus. There is limited parking out front that is pay per hour. 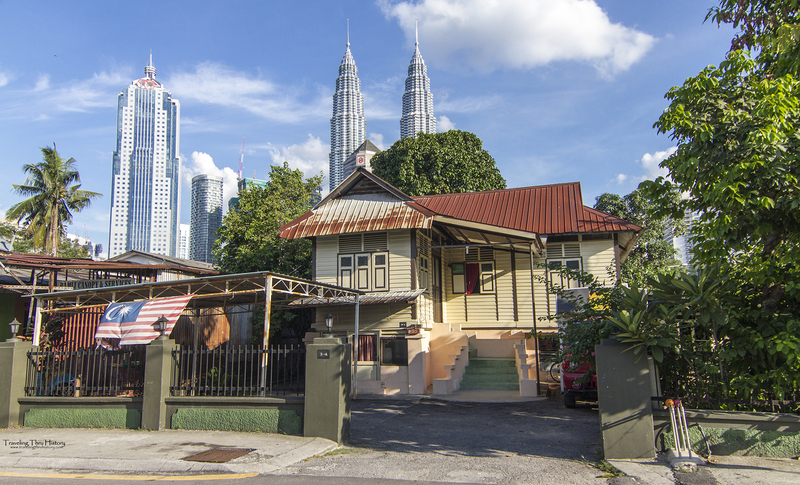 Kampung Baru is a small section of Kuala Lumpur that hasn’t changed much since the Colonial era. We went there and spent the afternoon walking up and down the streets looking at the unique ways the houses are set up, seeing how locals entertain themselves and checking out some of the little eateries. We had a lot of fun talking with a group of teenage boys about what America is like and taking their pictures, at their request. Several people wanted us to take pictures and only one girl said no when we asked. Many people posed for us and we just had a great time seeing what it’s like in the not-so-touristy part of Kuala Lumpur. Another interesting part of this is that the Petronas Towers are not very far away, so you get the contrast of poor and somewhat rundown against the backdrop of super modern and expensive. If you want to see how true Malays live and taste authentic Malay food, this is the place to do it. Go on a Saturday night to check out the weekly night market. LOCATION – About a 30-minute walk from Suria KLCC Mall and Petronas Towers. You can get there via the LRT train Kampung Baru stop or take the monorail to Medan Tuanku station. If you have a week stomach, are sensitive to smells or don’t want to see how your fish gets broken down, you may want to skip this one. But if you’re okay with all that, you should check this place out. 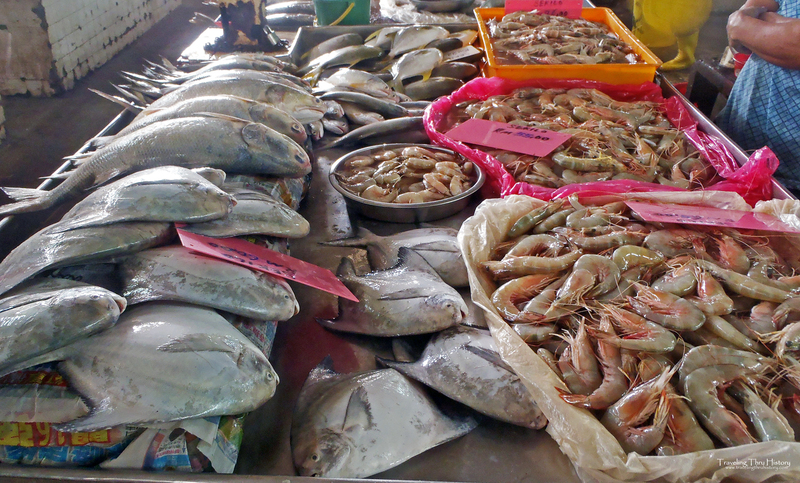 There are several wet markets around KL, but the one we went to (the biggest one in the city) is the Chow Kit market. There are loads of fresh fruit and vegetables along with freshly caught fish, spices and street food. You can watch as they break down proteins or prepare other dishes. It really is quite interesting. The vendors are super friendly and willing to laugh and joke around. We had several pose for pictures and move their wares around so we could get better pictures. On Monday nights, the Chow Kit wet market location has a night market. Just be sure to wear tennis shoes and keep an eye on your pockets. HOURS – 6:00am-5:00pm – I’d recommend going early in the morning when the smell is the weakest and it is less crowded. The Batu Caves are absolutely amazing. They are definitely worth seeing, even if you’re only in town for 2-3 days. 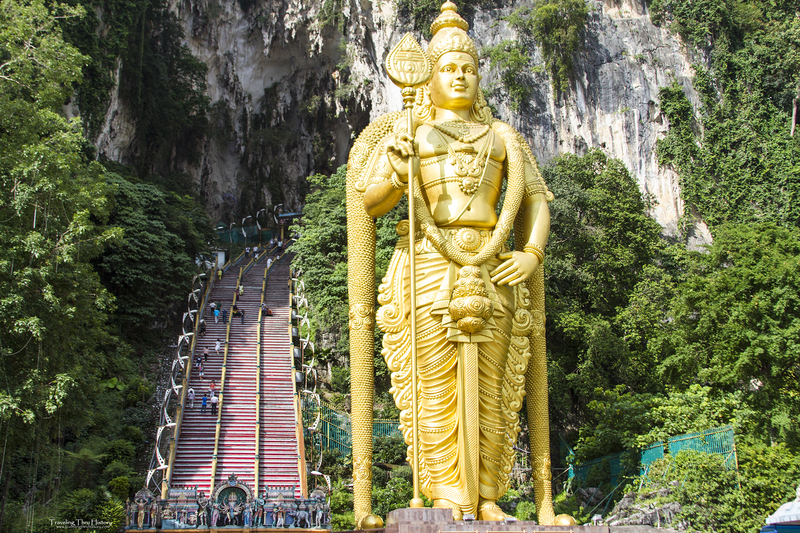 The Batu Caves are a series of caves with Hindu temples and shrines built in and around them along with the world’s largest statue of the Hindu God Lord Murugan. If you’re a monkey lover, this is also where you can get your fill of wild monkeys. Just be sure your bags are securely closed and kept on you at all times. If monkeys make you nervous, I’d recommend keeping a bag of peanuts within easy reach and if the monkeys get too close for your comfort, just toss some peanuts away and they’ll chase those. I’d recommend 2-3 hours for this destination. PRICE – There is no cost to visit the Batu Caves proper, though there are side caves and shrines that do have entry fees. LOCATION – To get to Batu Caves, take the KTM Komuter train from KL Sentral all the way to the end of the line, the Batu Caves stop. The price is RM2 to get there and RM4 to get back to KL Sentral. You can also take the 11/11d bus from Bangkok Bank Terminus (Near to Puduraya Terminus) or the U6 bus from Titiwangsa. You may look at this and think it sounds weird, but seriously, blind massages are pretty awesome. Their offices are not as fancy and upscale as day spas, but some of the best massages of my life have been at the little blind massage center in Little India. Ask for Mrs. Kuan. She’s amazing. My friend really loved Ivy, too, so she’d also be a good choice. But no matter who you go with, you won’t be disappointed. The building may not be fabulous and the area around it a little rundown, but you will walk out of there feeling amazing after your massage. 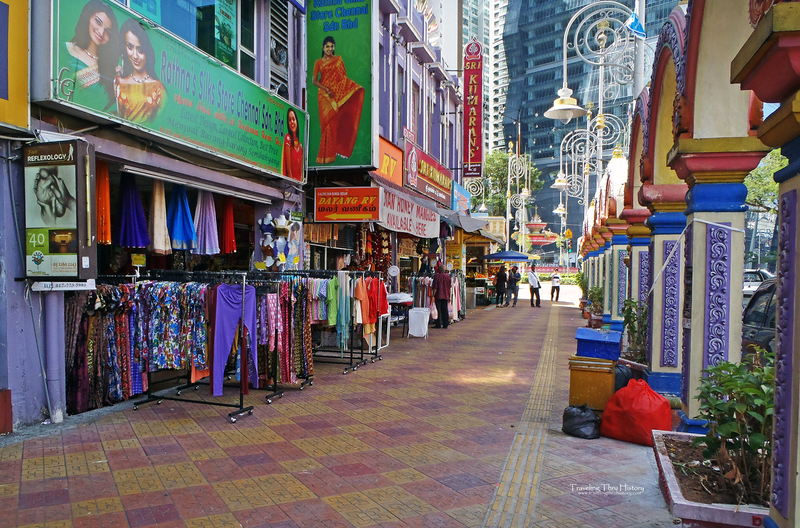 LOCATION – My favorite place is in Little India on Jalan Thambipillay, just south of Jalan Tun Sambanthan by the YMCA. If you find the YMCA, walk down the street opposite it and the blind massage place will be a few doors down on your right. You can find pictures and my experience here. This building has been around since 1901 and is absolutely gorgeous. The design and architecture have distinct Islamic elements that give it a mysterious quality. It really is quite beautiful. When you’re done taking pictures of the building, there is a musical show twice a day that tells the story of how Kuala Lumpur came to be. 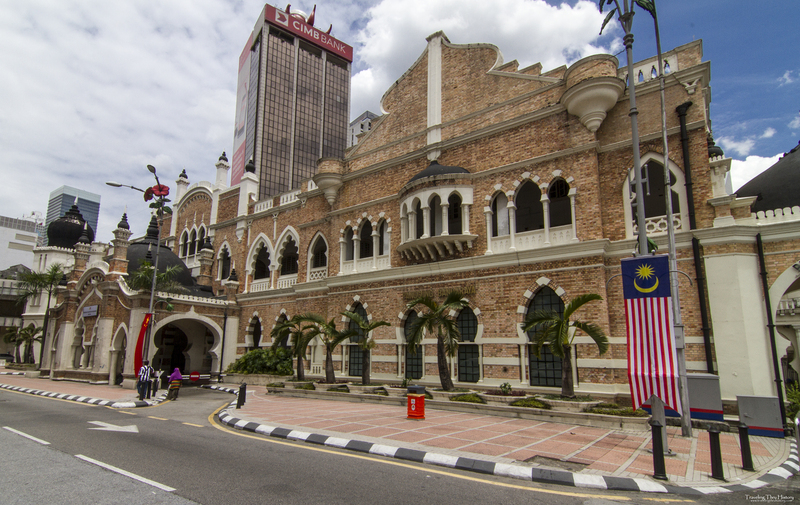 LOCATION – Across from Merdeka Square and behind Masjid Jamek. You can get there via taxi, the Hop-On Hop-Off tour bus or take the LRT to the Masjid Jamek train station. 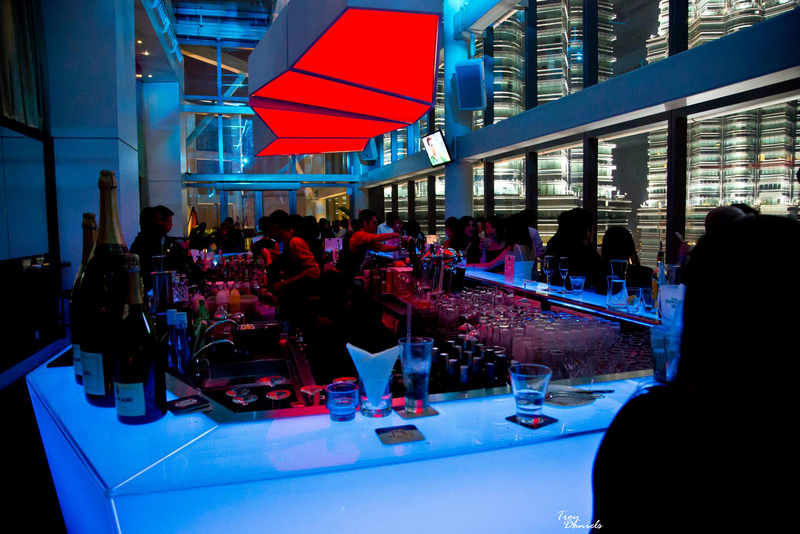 Marini’s is an upscale bar and restaurant with great views of the city, the most prominent view being of the Petronas Towers. We went there for a work party and were fascinated by how much of the city we could see from up there. They have a wide variety of drinks and food. I don’t drink, so I can’t comment on the quality of the alcohol, but the food was decent. Just beware, they have a strict dress code. Business casual is what they want and can be a bit picky about it. I got turned away for wearing jeweled wedge sandals. Even though they are considered dressy in America and Europe, anything resembling a flip flop, no matter how fancy it is, is not allowed. They do have shoes you can borrow along with nylon-like socks you can buy if you aren’t wearing appropriate footwear, so at least they have that. Men can get away with wearing jeans or slacks with a collared shirt, but I’d recommend heels with slacks or a skirt if you are a woman. LOCATION – Tower three of the Petronas Towers (not one of the twin towers) next to Suria KLCC Mall. You can take a taxi, the Hop-On Hop-Off tour, or the train. You can also get there via the LRT to the KLCC stop. This is another place Troy’s company had a party at. It is literally a helipad. You order drinks at the regular bar down on the 34th floor and then, if you don’t want to stay there, take an elevator and some stairs up to the helipad to have an amazing 360° view of the city. It. Is. Amazing. The view is just spectacular. And the drinks are pretty good, too. I had a virgin strawberry daiquiri and a virgin margarita and both were delicious. They have bar food, as well, but we didn’t get any, so I can’t comment on the quality of that. But that’s not the reason you go to this bar. 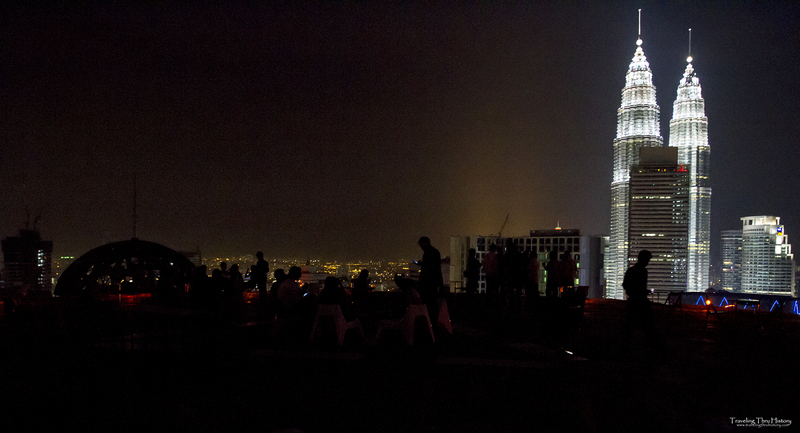 You go to this bar to have an unobstructed view of the Kuala Lumpur skyline. Because, seriously, there is no railing, but they do have marking for distance to keep from the edge and a net around the edge just in case. Dress code is ‘dressy’. No hats, shots, sleeveless shirts, bermudas or sandals/flip-flops. PRICE – Drinks are around RM25 each. LOCATION – Menara KH. You can get there via taxi or by taking the monorail to the Raja Chulan stop. What a comprehensive guide! You have really made me want to visit Kuala Lumpur, especially the elephant sanctuary! I’m currently in Kuala Lumpur and these things seems so much fun! I’m so happy I stumbled upon your post! Yay! I’m so glad my post was helpful to you! How long are you in KL? My country! You have been to a lot of places in Kuala Lumpur!! Yes, I lived in Kuala Lumpur for 13 months and absolutely loved it. It’s a great city. I would love to travel and see more of the world, but for now I can only relive others joy in places they’ve been. Love your pictures. Wow, that is so amazing! It would be a dream to visit there. So gorgeous, and so many great experiences, to be had! I wish I would have had this list when I was there back in Aug! I would have loved to visit the Elephant Rescue Center. One of the best ways to tell of they are actually legit and good is if they let the guests ride them. Elephant riding is the worst, so this one sounds pretty good! I’ll have to check it out next time I am in KL. Yeah, that’s something we learned after the fact. We weren’t very educated about elephant abuse in Asia until after we left and we did go to places where we rode elephants and got photographs with tigers when we first moved there. Later we learned more about the hardships those animals go through and it makes me sad that we participated in that. At least this place was a good one and takes good care of the elephants. This seems like a beautiful city with a rich culture. I will love to visit the elephant sanctuary as I think elephants are beautiful and majestic creatures. What an incredible place to visit. The Chilling Falls looked so beautiful and fun, and so did the central market! I’ve never been to Kuala Lumpur, but it’s definitely on my list. This is a great post to get me started! Wow! There’s so much to do! I would love to check out Chilling Falls or the Pewter factory. I would love to try the canopy walk and see the falls. Of course, I’d still go for Petronas, even if I’ve seen the place before and Batu caves. What a beautiful place to visit. I’d love to visit Chilling Falls. Loved looking at all your pictures! I would love to go and explore The Batu Caves and the wet market for sure. I always find it interesting seeing what different places look like and it’s so much easier if someone shows you where to visit. I have always wanted to go to the rainforest. Know I know where I want to go. This looks so beautiful! What a great list of things to do. The City Gallery looks amazing. I have heard such mixed reviews of elephant sanctuaries. Some are supposed to be great while others are horrible. This is an amazing list of things to do in Kuala Lumpur. If I ever make it there, I will go by this list! I have never visited here but it looks like a wonderful place, with so much to see and do. I love that Central Market too! This looks like such a fabulous place to visit. I’d love to travel there. Once the kids get a bit older, I’d love to do some more traveling! It looks like a wonderful place to visit. There are so many beautiful and important places and activities on your list that I think I could definitely build a trip around your suggestions. Honestly, I had never even heard of Kuala Lumpur until I read this. Thank you so much for your awesome photos! There is a lot of great stuff there. I have so many places on my list that I want to visit, I would certainly love the central market and Marini’s!